The Maserati Levante has only been on sale since 2016, but the 2019 model-year brings a host of changes for the luxury SUV. We drive it in the UK to discover if the updates give the Levante a winning edge, and what difference the new petrol V6 engine makes. 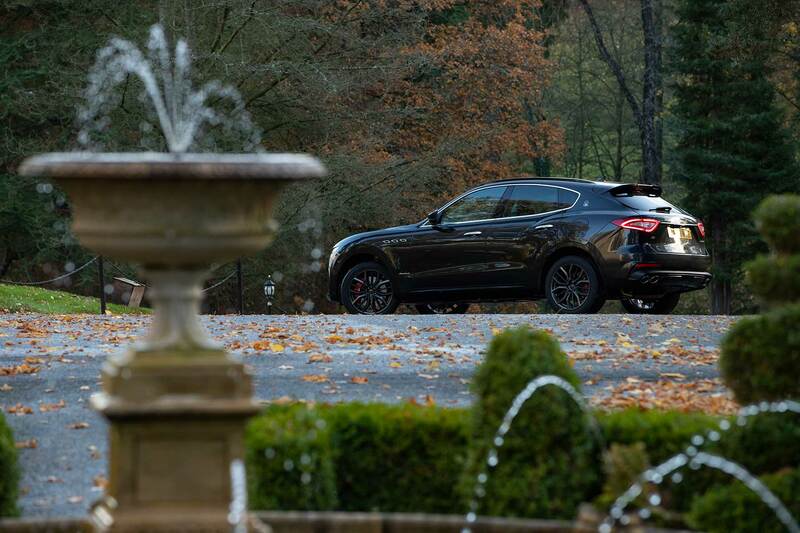 Almost three years after launch, the Levante is still an imposing sight. Maserati’s design centre in Turin has introduced styling changes for the GranSport trim level, which make it look even more formidable. At the front, the giant grille can now be finished in piano black, while the front splitter and rear diffuser get the same treatment. 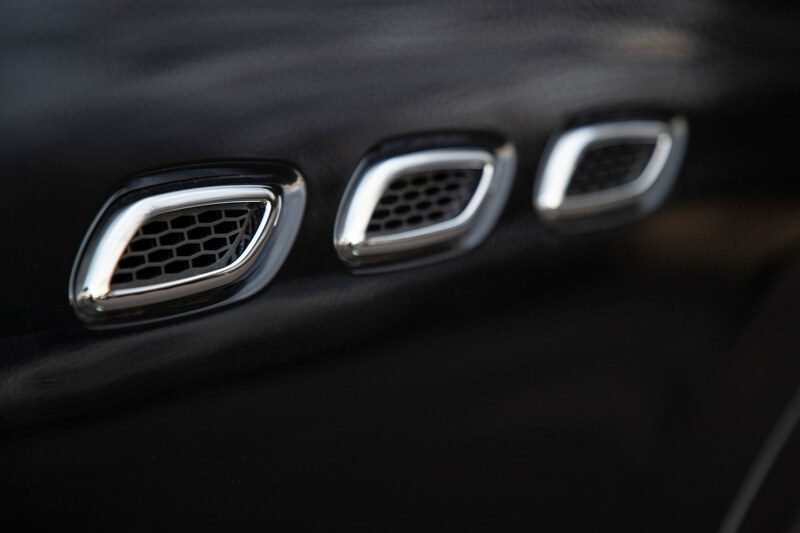 For those who want the ultimate ‘blackout’ effect, Maserati’s new Nerissimo pack finishes all exterior trim, from badges to exhaust tailpipes, in black. 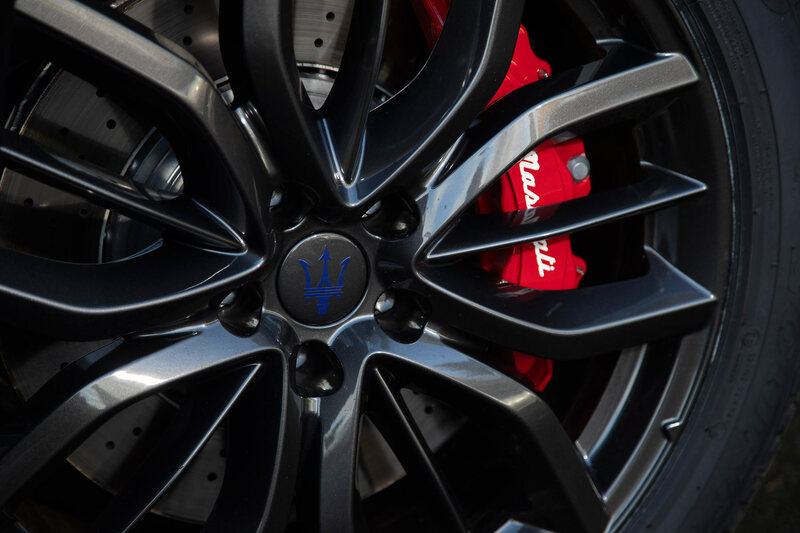 Alloy wheel options for the Levante now stretch to 14 choices, with the 22-inch Orione rims the largest ever fitted to a Maserati. V6-engined cars also come in 11 different paint colours, including the new Blu Nobile pearlescent option with glass flakes. 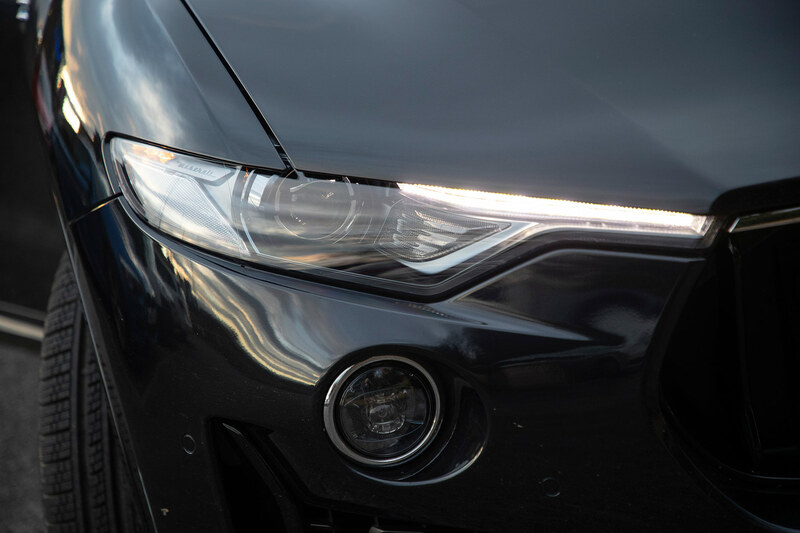 Also new for 2019 is the option of full matrix LED headlights, while the interior gains a redesigned automatic gearshift lever to free up space on the centre console. The biggest change for the 2019 Levante is the new entry-level petrol engine. 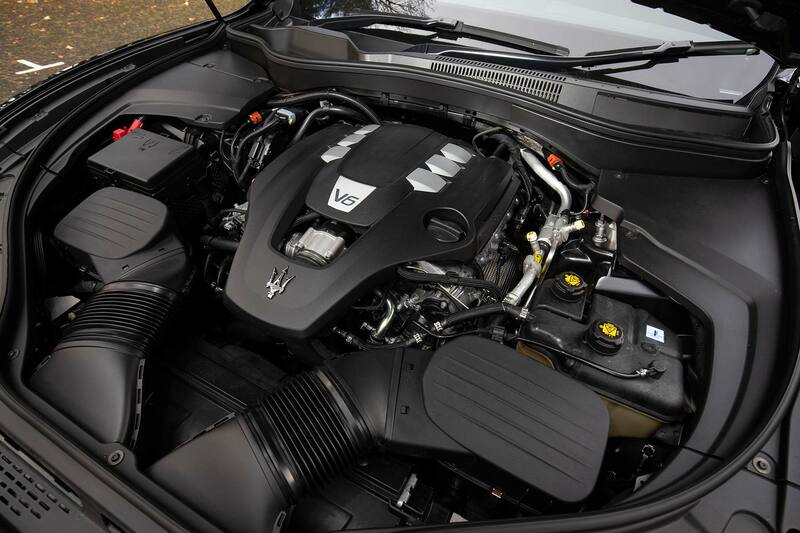 Built by Ferrari in Maranello, the 3.0-litre twin-turbocharged V6 engine is derived from the higher-powered unit used in the Levante S.
Here, some software tweaks and minor component changes result in a power output of 350hp, plus 369lb ft of torque. That’s a sizeable step up over the 275hp diesel, and bridges the gap to the 430hp S model. 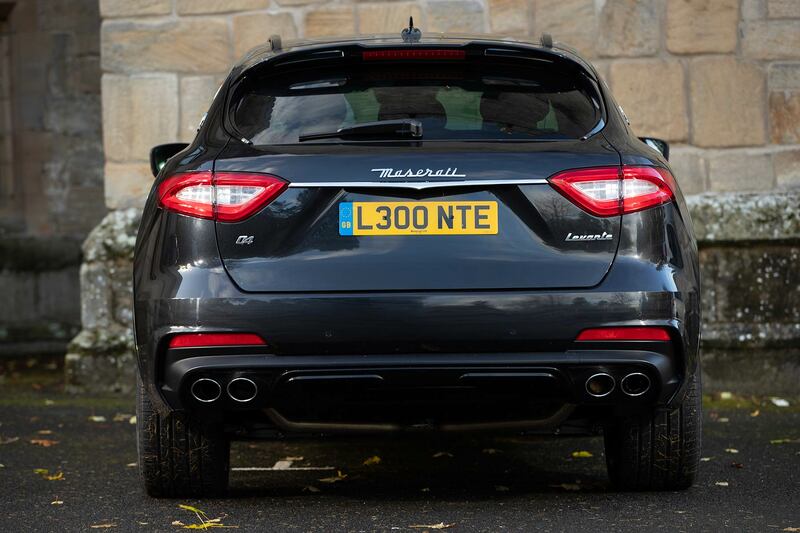 As the V6 Levante weighs in at 2,109kg, performance is swift rather than outright startling. 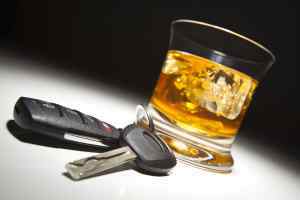 Zero to 62mph takes 6.0 seconds, with a top speed of 156mph. 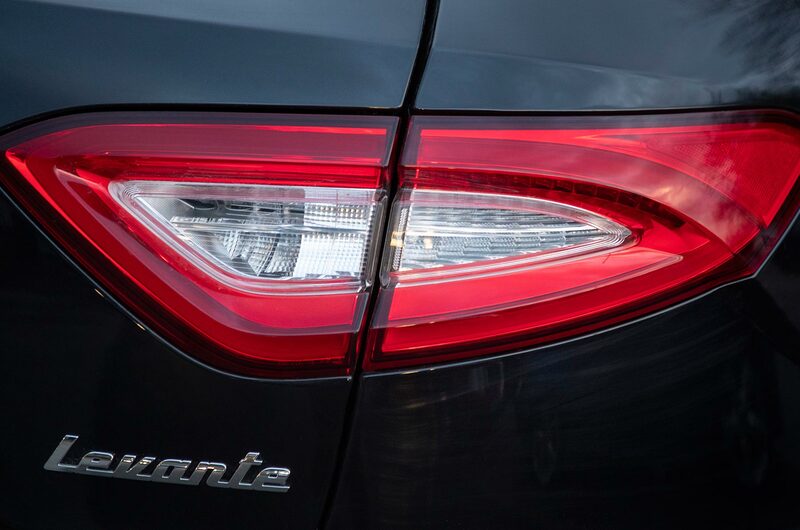 On the road, the Levante V6 never feels slow. Indeed, it builds speed more quickly than you might realise. A curiously long-travel throttle pedal dulls initial acceleration slightly, although switching to Sport mode partly offsets this. The standard eight-speed ZF automatic gearbox isn’t always very intuitive, and can occasionally be left hunting for the right cog. 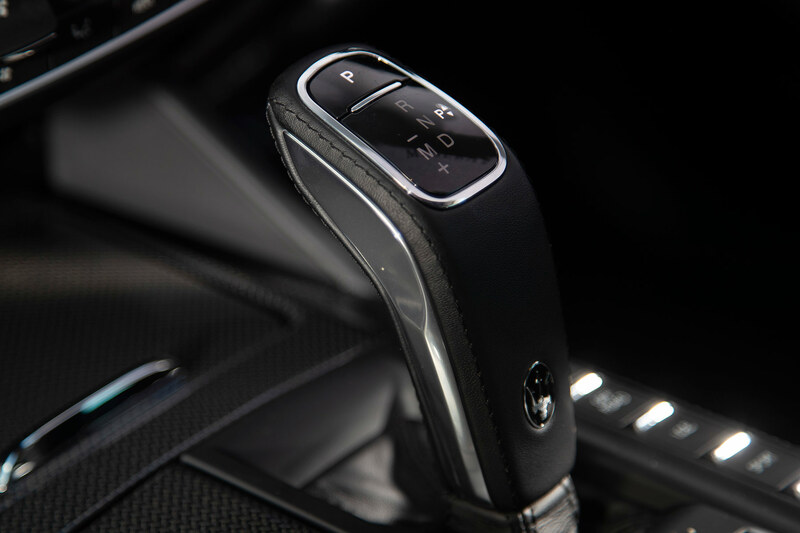 Again, Sport mode sees it cling to gears for longer, while there is always the option to shift yourself using the steering wheel paddles. In fact, swapping ratios can become addictive purely for the sound from the V6 engine. 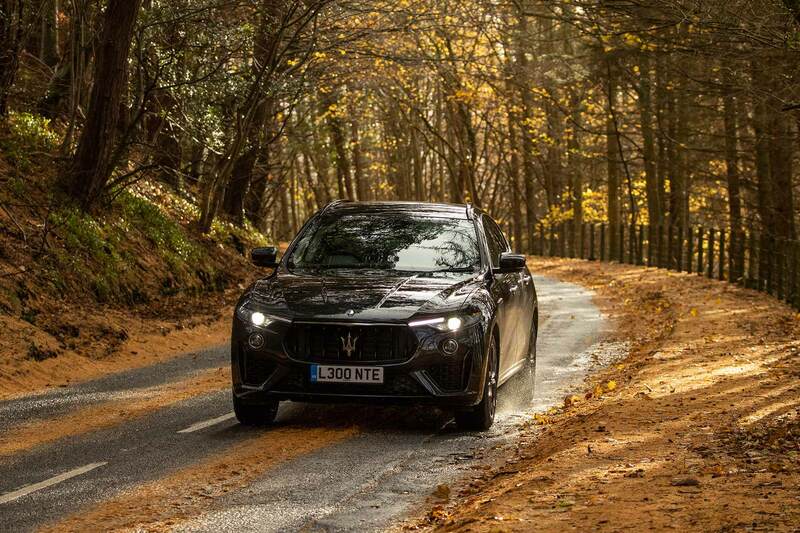 Maserati considers the noise its cars make to be a key part of the brand, and the Levante does not disappoint. 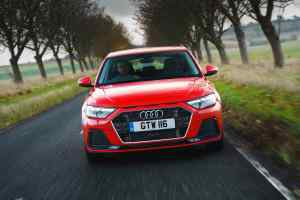 It’s a major advantage over rivals with four-cylinder engines. The downside to enjoying the howl of the V6 engine is fuel economy, which hovered between 14mpg and 17mpg on our test route. All Levantes have air springs as standard, combined with Maserati’s Skyhook electronic dampers. 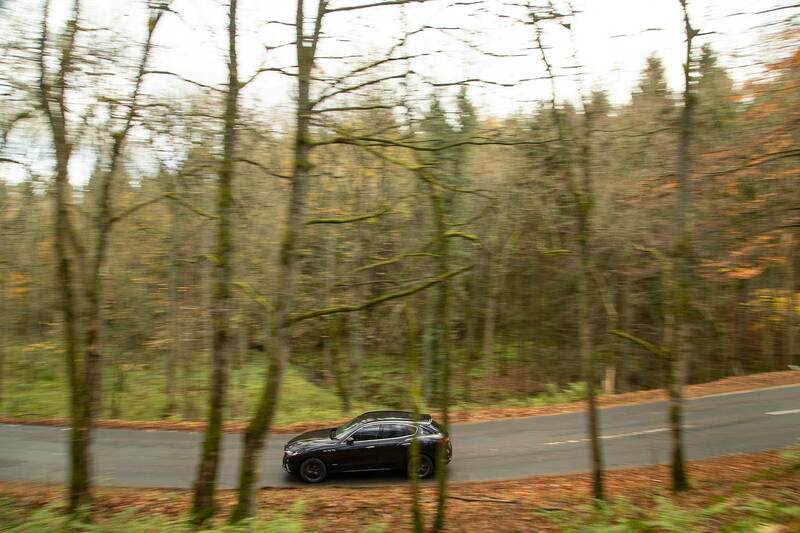 The result is the choice of suspension stiffness, and six settings for ride height. If you are brave enough to take your Levante off-road, an extra 40mm of ground clearance can be added. Conversely, you can get 35mm closer to the floor than standard for optimum aerodynamics at speed. 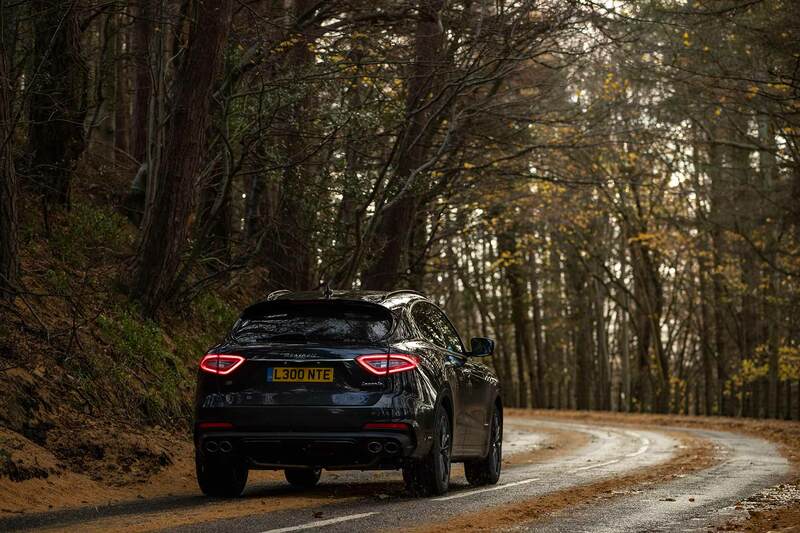 Despite wearing the 20-inch wheels standard on the Gran Sport, and faced with broken tarmac, the Levante did a decent job of smoothing out the road. Turning the dampers to Sport obviously results in imperfections becoming more apparent, but this never reaches uncomfortable levels. 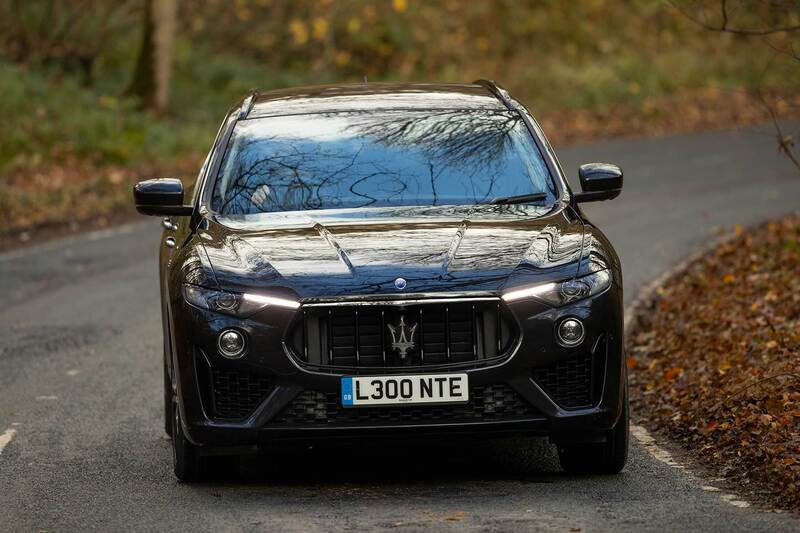 The Levante’s electric power steering has been retuned for the 2019 model-year. In normal mode it can feel overly assisted, while Sport adds a more reassuring level of weight. This makes it precise enough to thread along country roads. If needed, the Q4 all-wheel-drive system can send up to 50 percent of the torque to the front axle. Most of the time, 100 percent goes to the rear wheels, with any shuffling imperceptible. However, you can use one of the instrument display options to watch in real-time as Q4 does its thing. A rear mechanical limited-slip differential is also fitted as standard to the V6 Levante. Braking performance is never in doubt, and GranSport cars get the added benefit of red-painted calipers. Despite the technology thrown at the Levante’s chassis, there are limits to how much physics can be overcome. Even in the sportiest of suspension settings, there is still a degree of body-roll, and the sheer mass of the Levante is inescapable. Although if you’re looking for a track-day warrior, a £60,000 SUV is clearly the wrong place to start. 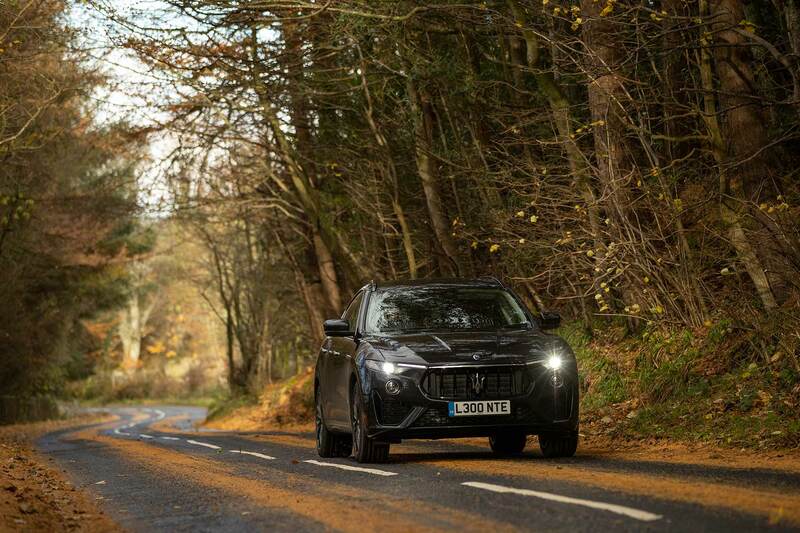 A track-day in a Levante would at least be a luxurious one – there were huge chunks of carbon fibre and swathes of leather inside our test car. All have leather sports seats as standard, with GranSport models gaining a wider choice of colours, plus 12-way electric adjustment. 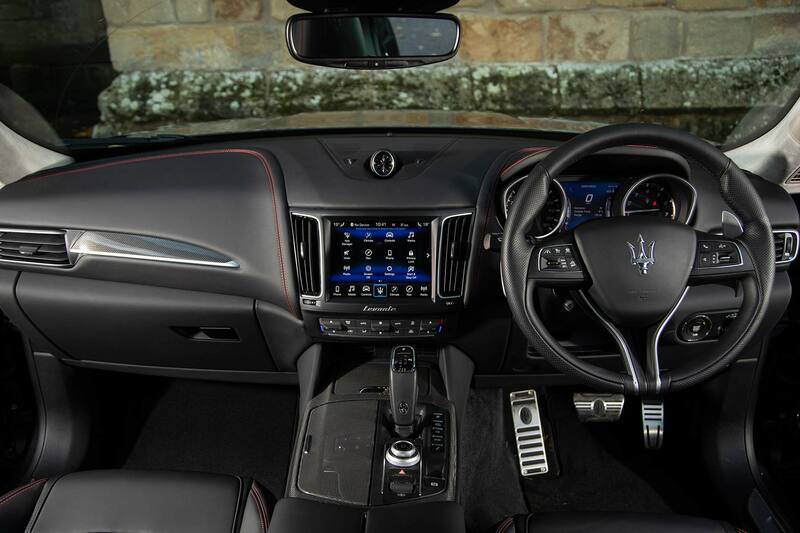 Opt for the more elegant GranLusso trim and the Ermenegildo Zegna silk interior becomes available. 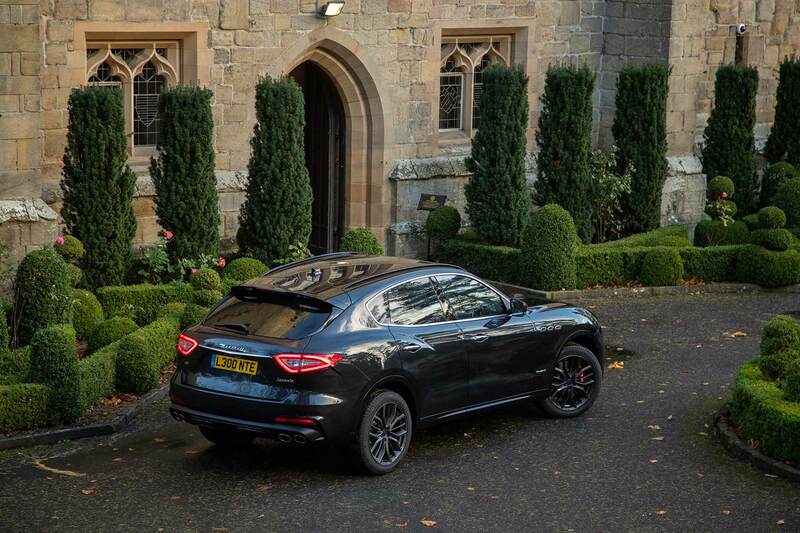 This matches leather trim with genuine Mulberry silk inserts, and is a decadent way to spec your Levante. 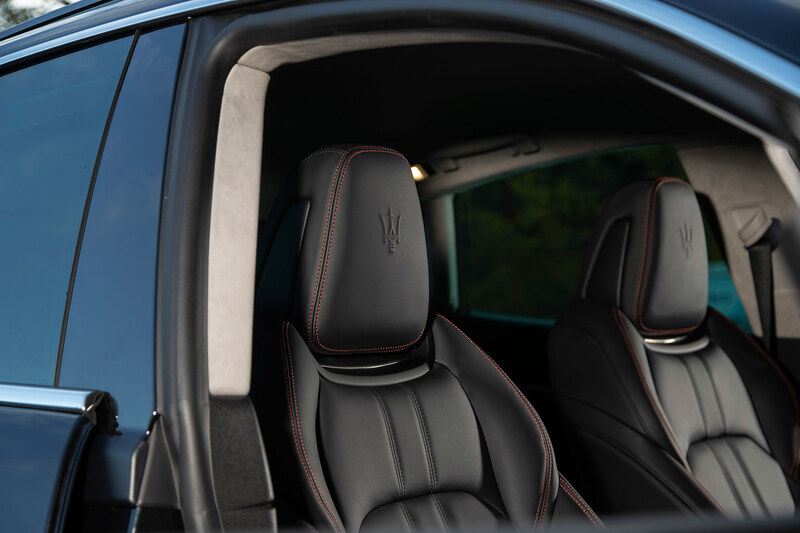 For 2019, the Maserati also gets updated graphics for its 8.4-inch multimedia touchscreen. It’s perfectly functional, but looks ordinary next to the giant screens found in the Audi Q8 or Porsche Cayenne. It does at least come with Apple Carplay and Android Auto connectivity as standard. 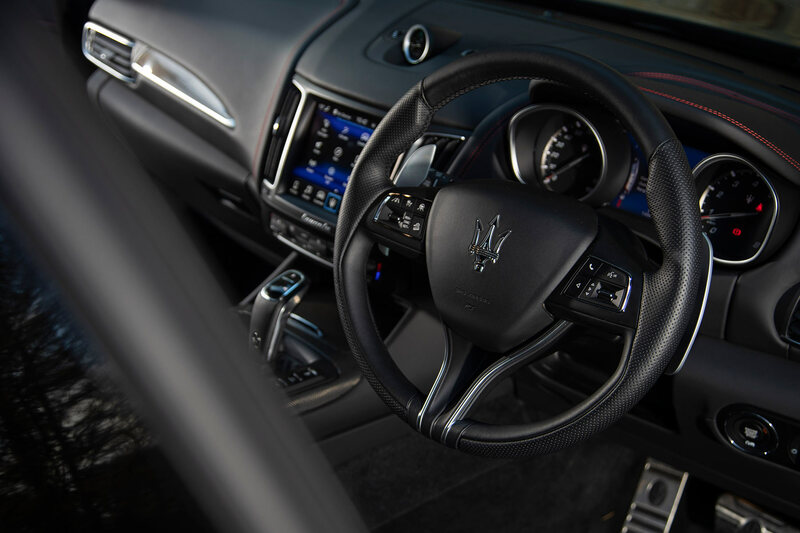 Unlike the Germans, the sports steering wheel in the Levante pleasingly avoids the trend for a D-shaped flat bottom. The single column stalk for wipers and indicators is a lesson in abject frustration, though. Less of a problem is space in the rear, which can easily accommodate adult-sized passengers. They also get access to their own USB sockets for connecting devices. Boot space is competitive at 580 litres, with a power tailgate included. Standard specification is strong, although the options list presents the chance to run wild. A 1,280W Bowers & Wilkins sound system can add £2,300 to the price, whilst Maserati’s new Blu Nobile paint will cost you £2,400. Those choosing to buy a Levante will have already dismissed similar cars from other brands. 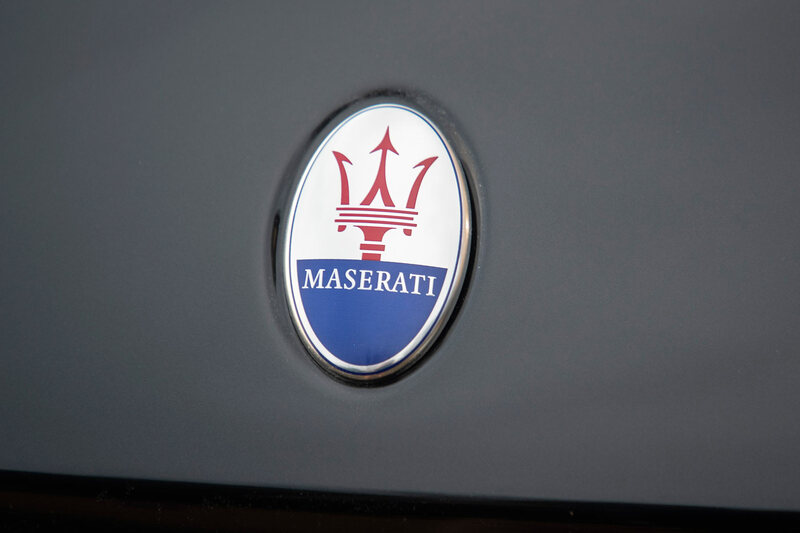 In fact Maserati knows that some 70% of customers will be coming from a direct competitor product. 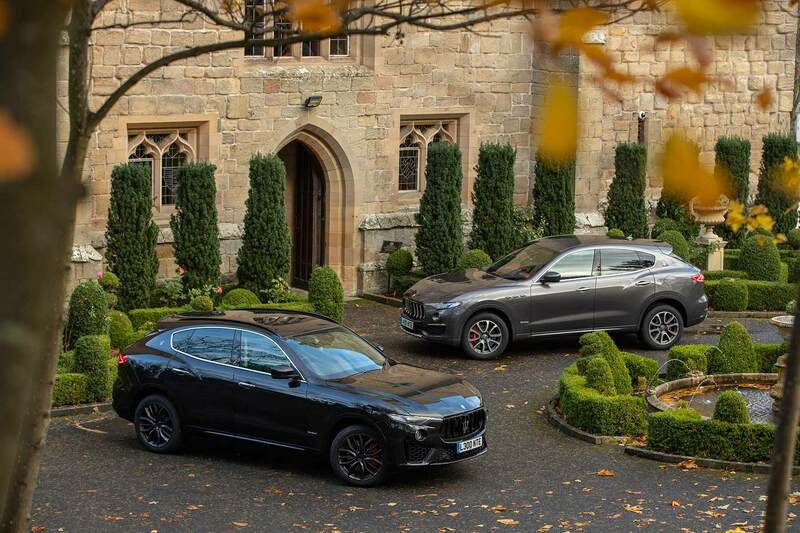 Having spent time with new 2019 Levante, it’s easy to appreciate why buyers might make that choice. The badge, the lure of a Ferrari-built engine and the imposing looks are all factors that undoubtedly draw you in. Elements such as interior detailing or fuel economy might see German rivals score higher. 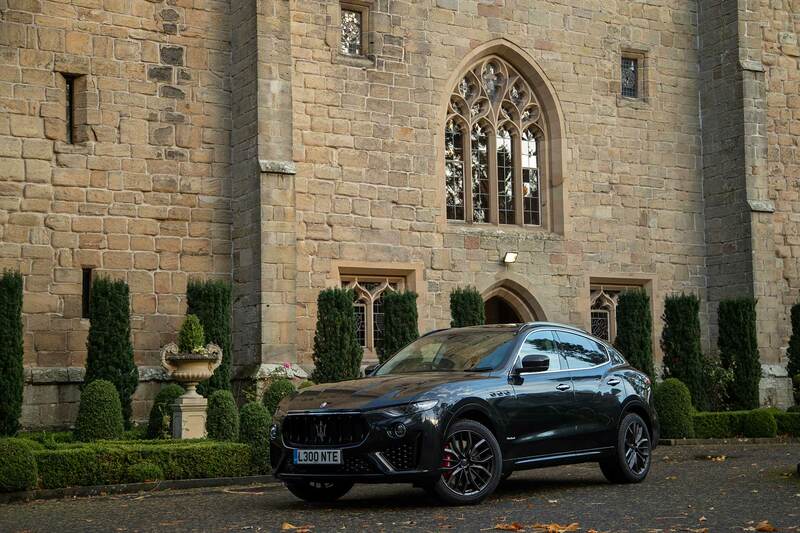 But the overall exclusivity and charm of the Levante, in GranSport trim especially, would win over those genuinely keen on buying a Maserati. The new petrol V6 engine adds an extra layer of affordability for those who don’t want a diesel, but want to keep some control on costs. 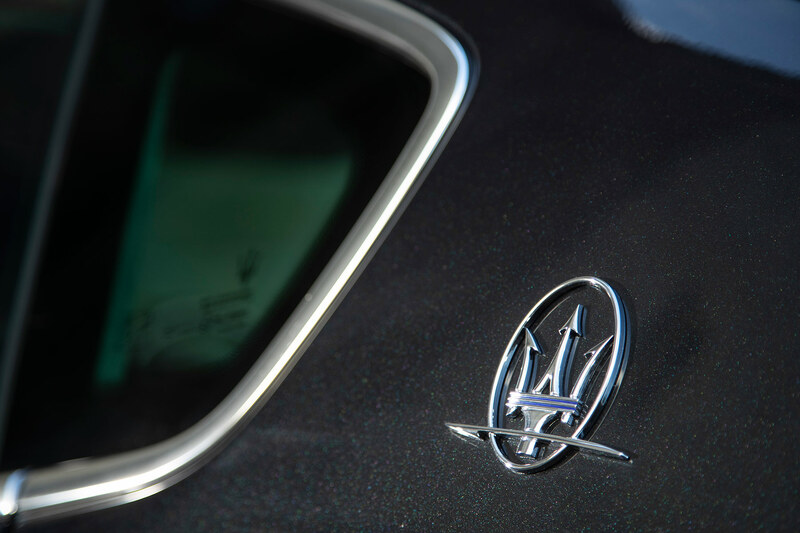 For buyers where the emotional experience of owning a Maserati will matter the most, the performance on offer is more than enough. There is the bonus of the wonderful exhaust note, too. 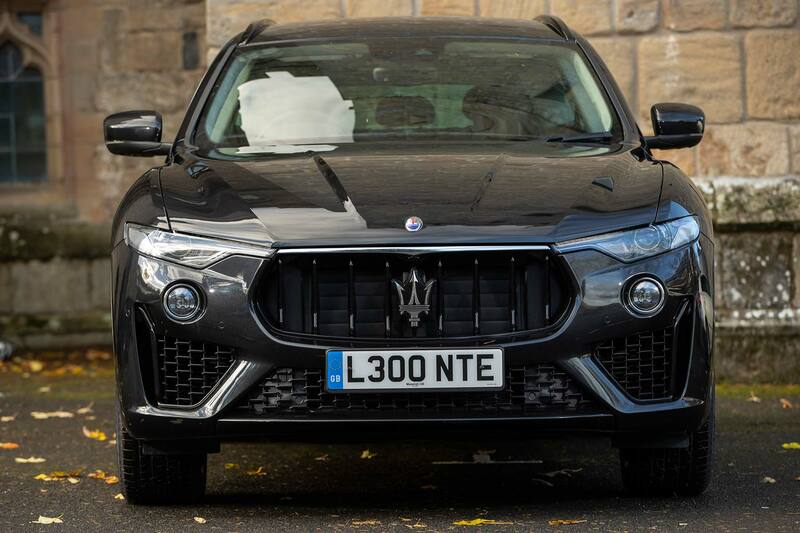 It might not be perfect, but we can easily understand why the 2019 Levante will appeal to certain luxury SUV buyers.